Enjoy the comforts of home from our hotel in Eugene Oregon. 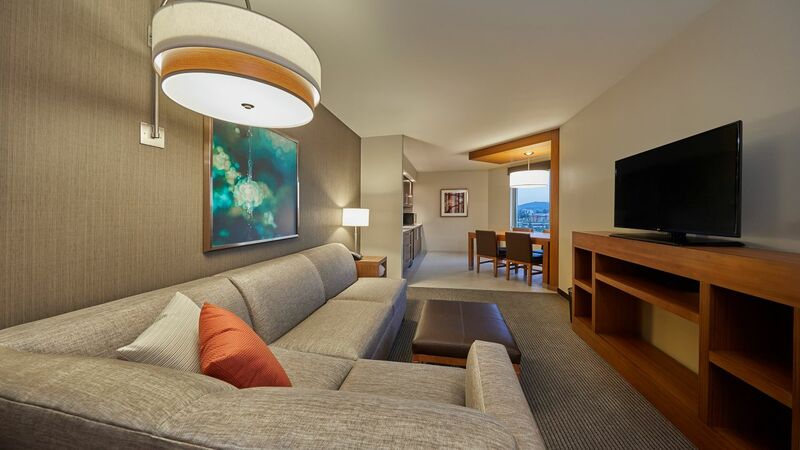 Our spacious and comfortable suites feature amenities that fit every traveler’s needs, including partial kitchens and a Cozy Corner with sofa-sleeper. 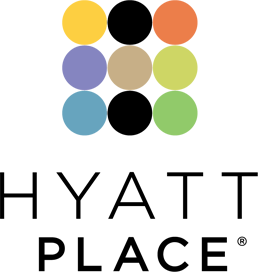 Walk to a Ducks game at Autzen stadium, explore downtown Eugene, or visit the numerous wineries or breweries around town. 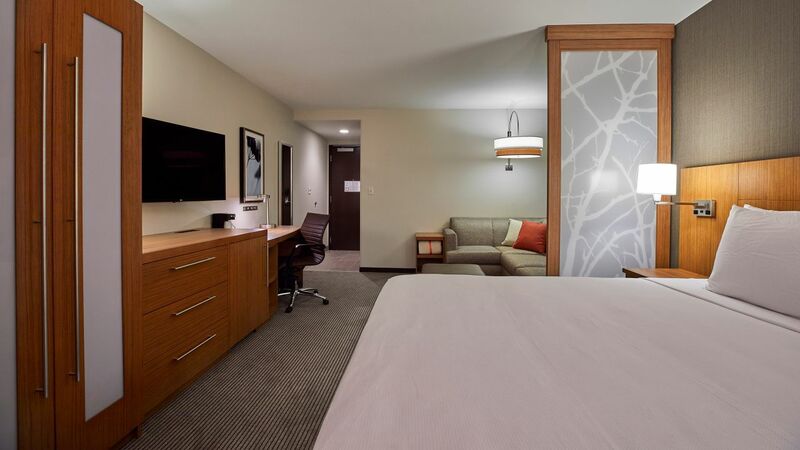 Our Eugene hotel is the ideal choice when you choose to stay in Eugene, OR, so settle in for a good night’s sleep at the Hyatt Place Eugene/Oakway Center. 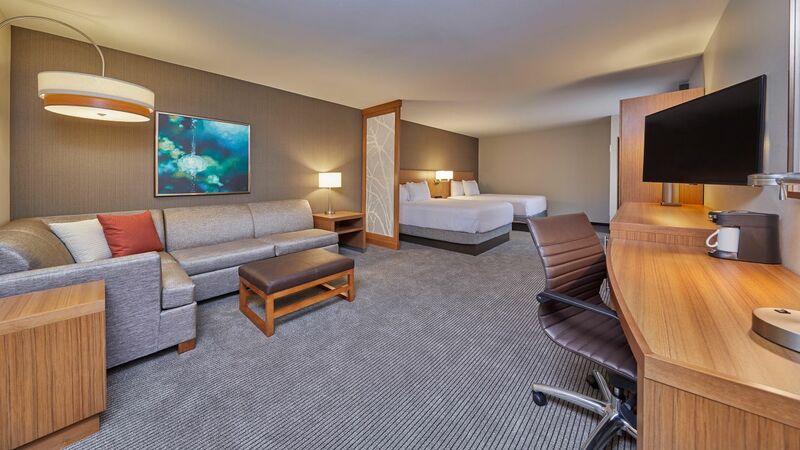 Rest easy in Eugene in our 425-square-foot room, featuring a king bed, a roll-in shower, a Cozy Corner with sofa-sleeper, work desk, and accessible features. With two queen beds and ADA-compliant amenities, this 480-square-foot room also features a Cozy Corner with sofa-sleeper and work desk. Enjoy the separate sleeping area with its king bed in this 700-square-foot accessible suite, featuring a Cozy Corner with sofa-sleeper and a roll-in shower. 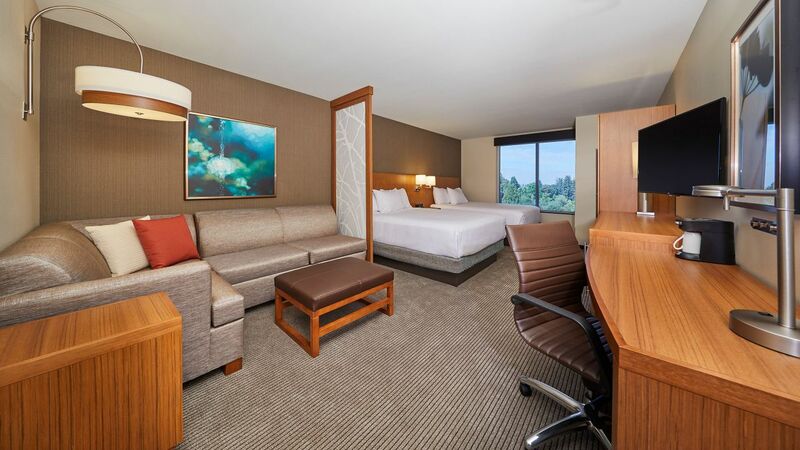 Gaze over Eugene from our 310-square-foot room which features a king bed, extra space with a Cozy Corner with sofa-sleeper, and a large work desk. 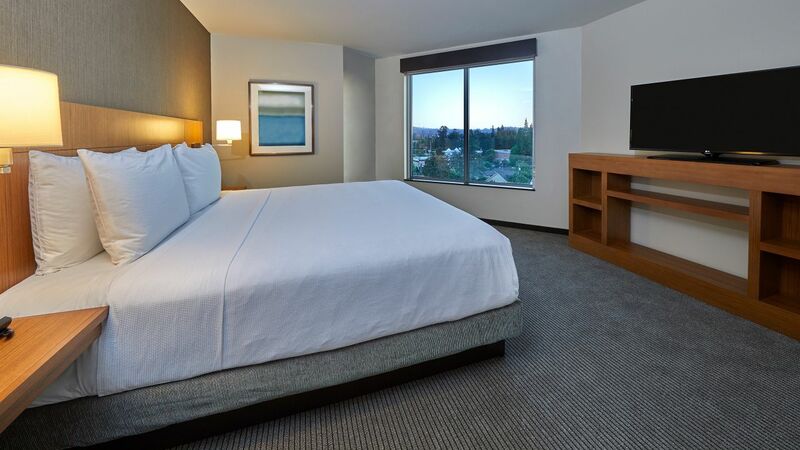 Our high-floor room features incredible views of Eugene, two queen beds, a work desk, and a Cozy Corner with sofa-sleeper, all within 350 square feet of space. 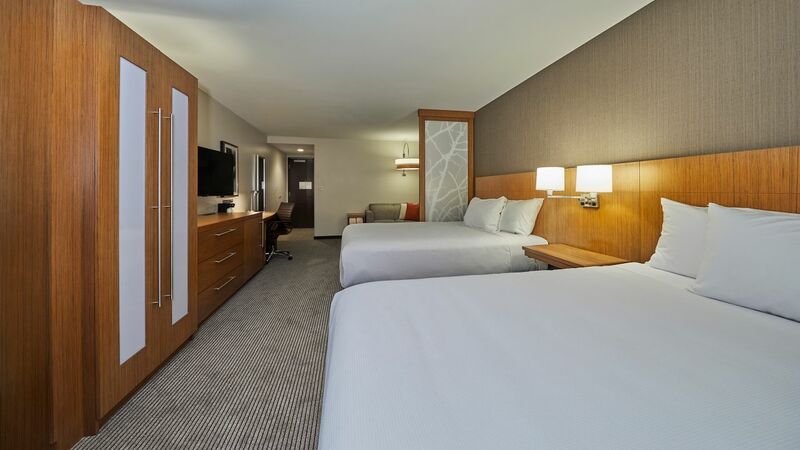 Wake up refreshed in our 305-square-foot room, complete with a king bed, spacious work desk, and Cozy Corner with sofa-sleeper, perfect for extra space to relax. With 350 square feet of space, our two-queen-bed room offers the perfect place to relax. Enjoy our Cozy Corner with sofa-sleeper and ample workspace. Rest easy in this 700-square-foot suite featuring one king bedroom, plus a Cozy Corner with sofa-sleeper, work desk, and partial kitchen. Spread out in this one-bedroom suite, complete with 525 square feet of space, two queen beds, a full kitchen, a Cozy Corner with sofa-sleeper, and work desk.